It would be easy to feel sorry for a clearly tired and hoarse Theresa May as she battles to keep her vision of a sensible Brexit alive. Her authority over the Conservative Party, never mind the House of Commons, has melted away. She has lost the respect of many European leaders who wanted to believe she was capable of delivering on a deal they negotiated. And, every day, the 62-year-old has to play politics with the DUP, Jacob Rees-Mogg and Boris Johnson. But forget about the woman for a moment and it becomes clear that Theresa May, the incompetent politician, is her own, and our, worst enemy. 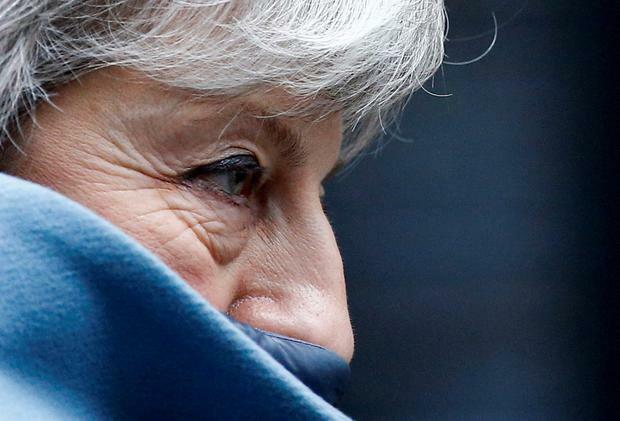 The vicar’s daughter may not share the brashness of the hardline Brexiteers – but her position means the prime minister has the power to inflict an awful lot more damage on this island. The Irish Government has for a long time worked behind the scenes to ensure nobody in the EU hastens her now inevitable downfall – but there is a growing wariness with her inability to find a consensus in Westminster. Yesterday May struggled to take part in the daily shouting match that qualifies as debate in the House of Commons. But even as her voice faded out, she croaked at Jeremy Corbyn that she still understands the voice of the country. But which country? Throughout the Brexit negotiations, May has turned a deaf ear to the people of Northern Ireland, instead listening to the extremists in the DUP. The fact a majority in the North voted ‘Remain’ may be moot when taken in the wider UK context, but the popular view of the backstop should matter more than the narrow-minded approach of Nigel Dodds’s crew. May’s early insistence that “no deal is better than a bad deal” set the tone for the shambles currently being played out in the House of Commons. It was her who told the public that no deal was not an unreasonable outcome to two years of negotiations. Yet she is now painting a picture of general chaos and openly admitting that the region she vowed to protect, Northern Ireland, will be worst affected. Rather than allowing it easy access to the UK and EU markets (the best of both worlds), May is on course to turn it into bandit country. A smugglers’ paradise. Of course, the prime minister has fought tooth and nail in the UK parliament for the backstop – but she can’t escape the clutches of the duplicitous DUP, which has sucked the life out of it. Again this might lead you to feel sympathy for May. Having to deal with Sammy Wilson is clearly not a pleasant experience – but it’s her own fault. She called an unnecessary general election in June 2017 and was such a poor campaigner that the Conservatives lost their House of Commons majority. Her only option was to buy off the DUP, which has made the most of its moment in history. With May, it’s regularly about survival for her premiership and her party. In order to stave off a heave earlier this year, she promised not to lead her party into the 2022 election. May backed herself into a corner by producing ‘red lines’ before talks with the EU got serious. They were designed at keeping her party together even though she openly admits her country is being torn apart. In summary, after two years of negotiating on how to avoid a hard Border, May’s fresh plan is to negotiate on how to avoid a hard Border. In the meantime, ‘taking back control of UK borders’ means leaving its only land border wide open. And all the while ‘Brexit means Brexit’.